Use Deicers Smartly and Sparingly! After the snow and ice are gone, the salt and deicers remain and make their way over driveways, sidewalks and roads and into the nearest catch basin. From their they flow (untreated) directly into our waterways. Learn more about salt, sand and deicers in our water and what you can do to help. The City has committed to expanding the current curbside organics program to all residential buildings with 1 to 12 units beginning in April 2018. Learn more. Are You New to Cambridge? Not sure what to recycle? Need to find out your street cleaning schedule? Looking for parks in your neighborhood? Street cleaning in Cambridge runs from April through December. Need to know your street cleaning schedule? Was your car towed? Learn more. Learn about trash and recycling services, drop off options, yard waste, household hazardous waste disposal, schedules and routes, and how to "Get Rid of It Right". Learn about construction activity going on throughout the city and get detailed information about construction projects. Learn about street cleaning, schedule, ticketing, ordinance & regulations, etc. 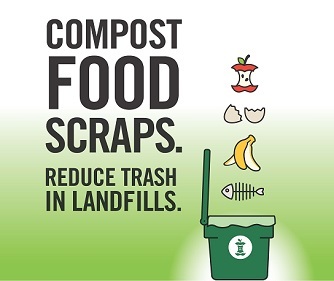 Citywide Curbside Compost Pickup is Here! This notice is required by the Massachusetts Department of Environmental Protection (DEP) as an annual update on the progress of Combined Sewer Overflow (CSO) control measures to improve the water quality of Alewife Brook. A 60-gallon rainwater collection system is available to employees and residents for $69. Join the Department of Public Works to celebrate “Arbor Week” in the City. This special week is focused on activities and information to promote Cambridge’s Urban Forest and runs from Monday, April 22 through Friday, April 26. The City of Cambridge has partnered with UTEC, a nonprofit organization serving proven-risk young adults, to provide free weekly curbside mattress and box spring recycling services.